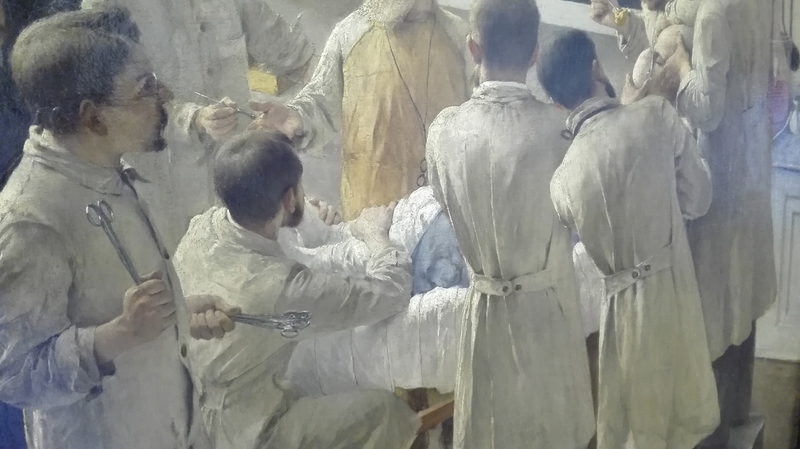 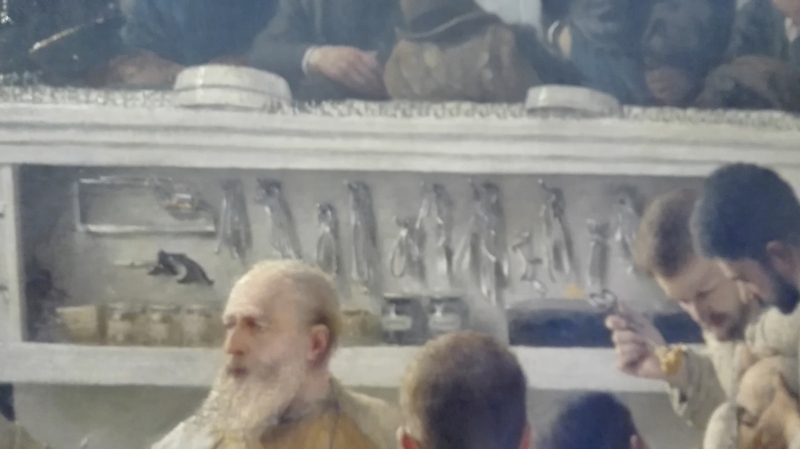 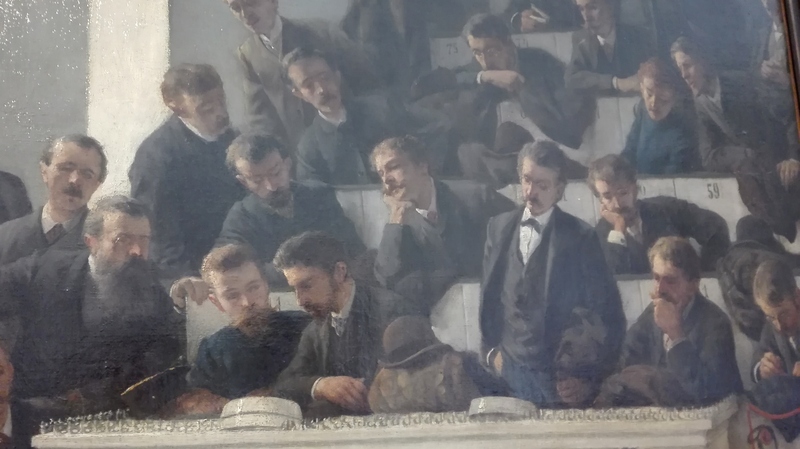 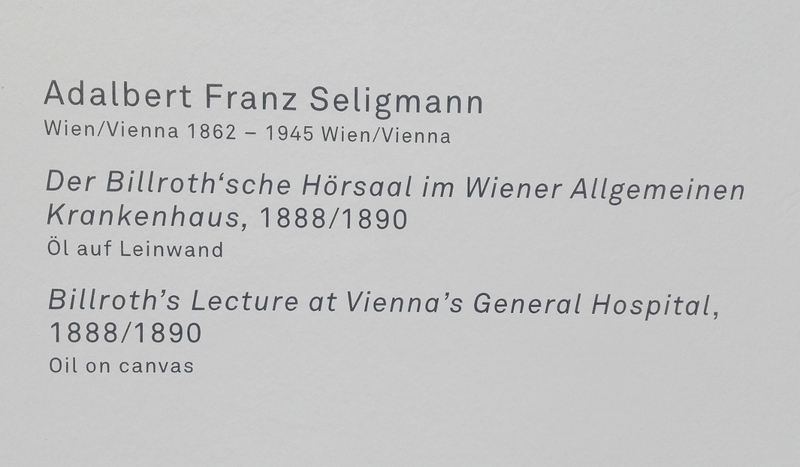 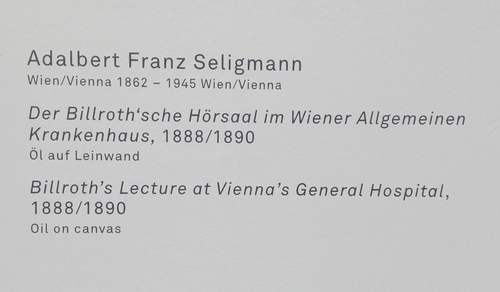 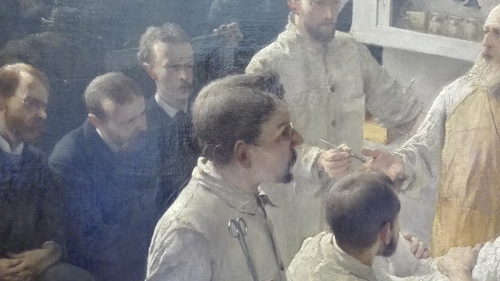 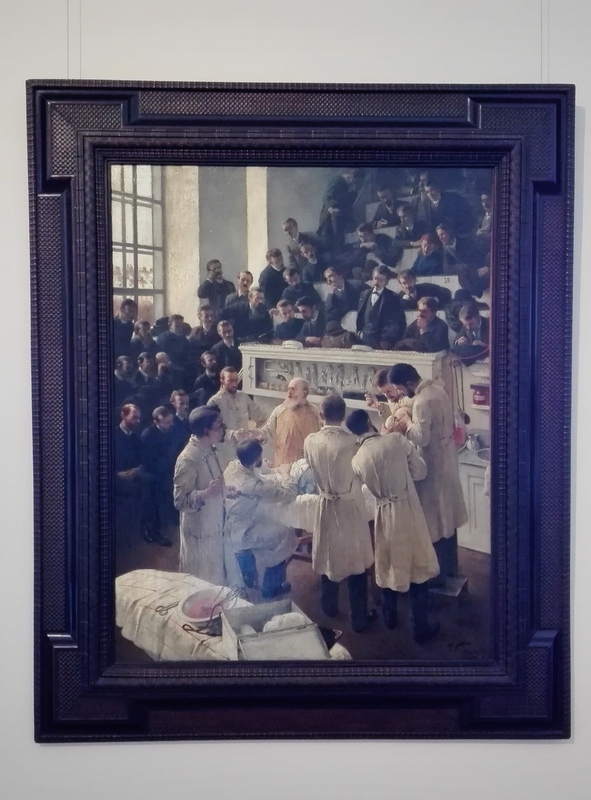 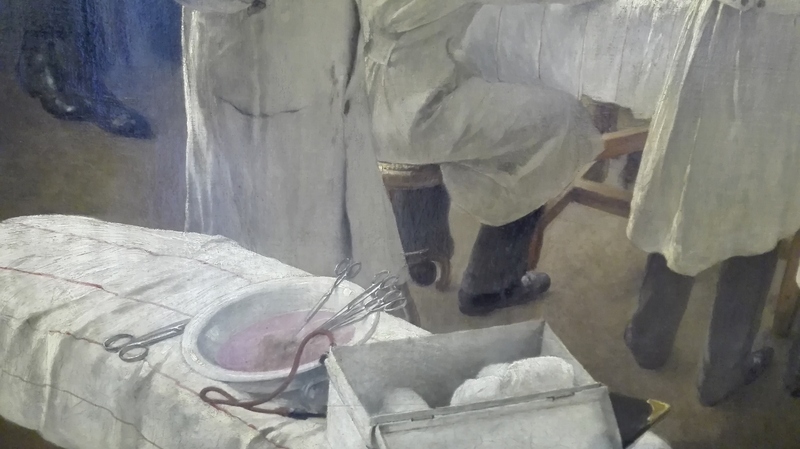 This famous painting (1889, oil on canvas) by Adalbert Franz Seligmann, representing Theodor Billroth in the operating theatre of the Allgemeine Krankenhaus, is now displayed in the Österreichische Galerie Belvedere, Vienna. 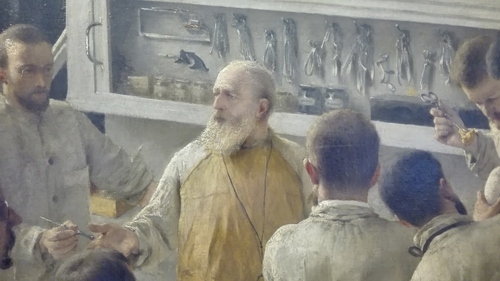 Billroth is represented when he was sixty, at the top of his professional career. The painter's self-portrait can be seen at the extreme right of the picture.